In any case, there is much to be said about top of the line Android phones. Just like there is much to be said about the iPhone. 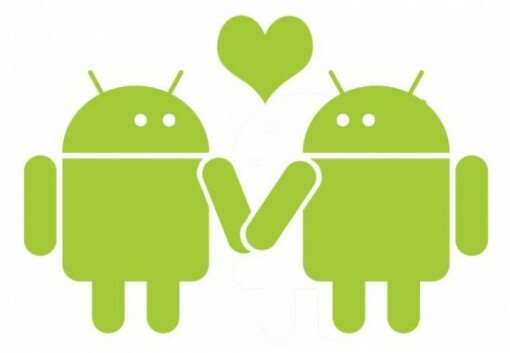 If you prefer Android, then so be it. It all boils down to personal choice. Now, what about apps? Social apps are probably the first things that will come to mind, and understandably so. The good news is that you’ll get a lot more free apps for this platform, so to help you, here are seven must-have social apps for Android. Everyone’s on Facebook, and in spite of the fact that many users are getting sick of it, there is not much in terms of alternatives at the moment. So yes, Facebook is probably one of the first social apps for Android you will want to install. And yes, it is free. While there were (probably are) many iOS users who prefer to use other clients to access Twitter, the Android app is actually rather good. This means that you do not have to go on a hunt for the best Twitter app for your Android phone. Just go with the default client, and you’ll be good. Have the need to become mayor of every joint you frequent? Want the world to see what you’re up to all the time? Then you absolutely must have Foursquare and use it every time you go somewhere. In all seriousness, Foursquare can help you discover a lot of places, so it still is a good app even if you don’t want to check in at places and broadcast it. There used to be a time when Instagram was the sole playing field of iOS users, and when the developers finally released an Android version, the user populating exploded like nothing else. Take photos, even crappy ones, using your phone and share them online. That’s what filters are for. Do try to vary your stream a little and not fill it up with what you just had for lunch or dinner. GetGlue is the king of social apps for Android when it comes to sharing what you’re watching. And if you like getting stickers and badges for your viewing habits. Perfect for those who have an always on or unlimited data plan. You’ll not have to use your text messaging credits with this app, as long as your friends have it installed it as well. You can even gloat and say it’s free for Android while iOS users have to pay for it. Integrate Yahoo Messenger, gTalk, ICQ, and whatever other IM platform you use and access them in one app with imo. With these seven social apps for Android, you have your social life covered from practically all angles.